What Constitutes Good Roofing Ventilation? You are here: Home / Roofing / What Constitutes Good Roofing Ventilation? Proper ventilation is the unsung hero of any functional and beautiful roof. It helps suppress excessive attic heat in the summer and inhibits ice dam formation in the winter. Not regulating attic temperature can accelerate the aging process of roofing materials, especially asphalt shingles. What constitutes a good attic ventilation system? 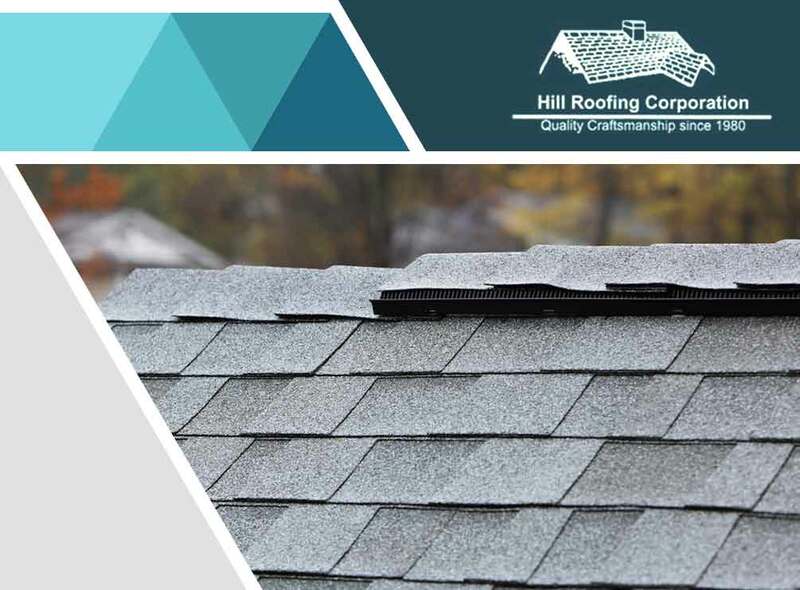 Any professional roofing contractor like Hill Roofing Corporation would agree that the combination of soffit and ridge vents is the most promising. Soffits are perforated to breathe in enough drafts to cool the underside of decking boards. Despite having holes, they can be designed to keep precipitation and wildlife at bay. Compared to drip edge vents, you can use gutters with them. Unlike gable vents, continuous soffit vents admit cool air evenly. Laying down the ridge vent at the peak of your home is of the utmost importance during your residential roof replacement. This component covers the void at the roofline, allowing heat and moisture to move out the top. It works similarly to a chimney. If you live in an old home, it might not have a ridge vent. Gable vents used to be the preferred choice, but ordinary windows ventilate better than them now. What Makes This Combination Efficient? Mixing soffit and ridge vents helps you advantage of natural convection. The stack effect is the result when the warm air rises and creates a slight vacuum in the lower levels. This cycle constantly provides new room for the cold air. With soffit and ridge vents, the air has convenient entry and exit points to maintain air flow. Is this the most suitable ventilation system for your roof? Call Hill Roofing Corporation at (703) 291-0311 now to discuss your roofing needs and get a free estimate. We serve Manassas, Arlington and neighboring Virginia communities.